How many writing journals have you purchased in your lifetime? If you are like many people, you have purchased at least a handful. If you are a prolific writer, use journal writing as a form of stress relief or simply enjoy spending time with your own thoughts, then you my have purchased hundreds of journals over the years. You have seen so many different journals, but every once in awhile you come across one that stands out from the rest. These are journals that become more than just journals, but what exactly makes them stand out? A journal is more than just another journal when it is handcrafted for durability and a sense of luxury. These are journals designed with great love by people who understand how important a good journal is to the right person. It is the fine details that stand out with a homemade journal. You appreciate the attention given to those details, and that makes your journal feel special and valuable. Moleskin, premium leather and other high-quality materials make a huge difference when it comes to journals. You can pick up a cheap journal made of thin paper or plastic and expect it to do its job of collecting your words until the pages are filled. Alternatively, you can pick up a luxurious journal created with higher-quality products and spend time stroking the cover, smelling the pages and simply enjoying its presence. These are the journals that make putting your thoughts on the page enjoyable and worthwhile. Your monogram or a fancy letter on the cover of your journal can make journal writing more rewarding. Adding a quote that touches your soul or a sentimental phrase that gets you motivated can make the difference between sticking with a project or giving up before your goal is met. When you make your journal your own, it becomes far more than a cheap journal you can toss into the junk drawer. If you have never thought much about the quality of your journal or the way it makes you feel when you pick it up, start thinking about those things right now. You have important work to do. Make sure your journal lives up to the occasion. If you want to see what a journal can really be, visit Jenni Bick Bookbinding. So it’s almost New Year yet I haven’t posted any about the Christmas Day. Oh well, our Christmas was different this time, although we still celebrated the holiday with some foods my mom, my younger sister’s family and my son was not around. My Mom celebrated Christmas with my younger sister family while my son celebrated Christmas with the family of his father. As for me I was with my younger brother and his family and the family of my Uncle. But unfortunately, we will not have my older brother and his family in any Christmas Day as they are now in heaven with our Lord. How about you were you able to celebrate the most wonderful time of the year with your loved ones or are you working? I don’t know if you know someone who are in need of rigotti reeds whether it’s for saxophone or clarinet. But just in case you need one you can take a look of the available rigotti reeds at Musicians Friend. I am sure you can find something that is okay with you need and budget friendly. I hope I can be of help but I am not a music lover so I really not know much on where to go. Anyway, you can click the link for more information. I am certain that i can come online again before the Christmas day so i am wishing you all a Merry Christmas. I am praying that the spirit of Christmas be in our hearts in spite of the difficulties that we may be dealing. As usual i will celebrate Christmas with my family but not my son. He is staying with the family of his father. I will surely miss him this time. In deed the most wonderful time of the year is fast approaching. More and more people are starting to shop for their loved ones. We could deny the fact that there are times that finding gifts for our love ones can be a daunting task especially if the recipient of your gift has everything he/she needs. If you’re one of them then fret no more as I will help you find a wonderful gift. If the recipient is a music lover then perhaps they will love to receive the ableton live contorlle at musicians friend. You can actually find all the musicians needs in this site. No, I and my son J are not yet back in our home. I am talking about my mother and my younger brother and his family. For alm0st a m0nth since the super typhoon it was only yesterday that our home was cleaned. We hire someone to help my brother clean our house. I heared from my sister that they slept in our home last night. The younger brother of my Mom will be staying with us for a while because my Uncle is nursing a head injury. He is wounded while they are trying to evacuate when thier roof was takem away by the strong wind. For someone who earns a living by performing on stage I am certain that having a good music gadget is a must. I am not a musically inclined type of person so I really don’t know much about music gadget and accessories. And mostly, I am not into g dec junior at guitar center is also important when performing on stage. Oh well, if you are in need of this music accessories I know of a place where to find all your music gadget and accessories needs. I don’t know if I mentioned in any of my blogs that the girlfriend of my Uncle is a fan of silver jewelries, from earrings down to anklet. One time I asked her if she owns a sterling silver necklace I was just wondering because she is a certified silver collector. And I was right, have a sterling necklace and bracelet. She bought it when was still working in another country. How about you? Do own any sterling silver jewelry? I don’t have any and would love to have a set of sterling jewelry in the future. ..that pays me to write anything under the sun. Been trying my best to update my blogs regularly but it seemed that I need to work harder for me to be able to attain my blog. I could not deny the fact that my blogs have been neglected since I started writing in a writing hub which allows me to each by posting any kind of articles, liking, viewing and commenting to a certain post. It’s been a month and four days since I joined in this new writing hub and so far I am enjoying and I already have three successful redemptions. I am hoping to redeem my fourth cash out tomorrow. I noticed that blogging is kinda slow for the past couple of weeks and I am very grateful that I have found another means of earning online. I can still few dollars although I don’t have any earning in my blogs. We cannot deny the fact that we buy something we want to at least get some saving and usually looking around from one store to another is what we really do hoping to find something that are on sale. So just in case you in a look out of industrial materials I found this website which offer huge variety of Reid industrial supplies. As of this typing they are offering 50% discount in over 100 products. Hurry visit the site now! Yay! Three days passed for the month of October and this is my first post. Updating my blogs is more difficult now since I have found a new avenue to earn online. However it doesn’t mean that I will not try my best to update all my blog in a regular basis. I will still continue to strive no doubt about it, but I sure need time to adjust my time between blogging and posting articles in my newly found writing hub. Anyway, I really don’t much to say in here. I just want to post personal post before publishing paid post. I still have a lot of things to do online before hitting the bed and I am afraid I will not make this day productive as I am very sleepy, already. The medical field is offering advancement opportunities to those people that have the drive to take their education to the next level. People that really enjoy the medical field know that they can enroll in online MHA programs to help them reach their full earning potential. Ohio University offers a flexible online schedule that would work well for almost anyone. The opportunity to take these courses online allows people to continue working while they are advancing their education. They can arrange their study and class time around their busy lives. This makes moving forward with education possible for many people that need to work while they are continuing their schooling. During the Master of Health Administration online courses students are focusing on all of the crucial areas of the health industry. They learn about the ethical and legal issues that are faced in the medical industry as well as fulfilling the contractual arrangements and financial imperatives in the workforce. From marketing to strategic thinking, the students will be pushed to make strong decisions and to consider all possible results that can come from making each decision. Ohio University has been in the business of helping people advance themselves through further education since 1804. They consistently hold a top two percent ranking among other public universities. Students are able to absorb current techniques and concerns from real life situations that are occurring in the medical industry and they can do it at their pace with the 100% online course schedule that is offered by Ohio University. While the coursework is completed online, students do have the opportunity to create lasting connections with other students that are attending the school. Ohio University offers discussion forums and online chat sessions that will enable the student to form connections with those that are participating. Students often find that the other students and instructors that they communicate with become professional contacts that they have for the rest of their professional careers. The benefits that come with completing the MHA program at Ohio University are many. Those that have the drive and determination to move themselves further in their medical career can take advantage of these benefits and make the best of all that Ohio University has to offer. Making the decision to complete the MHA program is one that could impact their lives in a positive manner for many years to come. Yay! I really have a good reason to smile this morning although I am having headache. The reasons- first, I wake up seeing a notification from one of the pay to blog site regarding the two copy paste I need to publish here. Recently, I have been receiving copy paste tasks from this site for the past couple of months and its pays good. Secondly, I am few dollars away to redeem my first payout in my newly found writing hubs. I am excited for my first payout. I am certain that I am going to do it in a day or two. I am somehow anxious of what is going to happen in my first payout as I’ve read some unsuccessful redemption because of breaking the website’s rules. Well, I could only hope that everything will fall into places when I have my first redemption. Lastly, I got few tasks from my all time favorite pay to blog site. The website has been quite for sometimes. I really miss those times when I have bundle of tasks to do with them. And of course, who will not miss the tasks with stars. Surely we do miss them, right? In the field known as Christian fiction, a recent popular trend has been romance books centered on the Amish experience. Many of these books involve Amish characters and settings, providing readers with an opportunity to vicariously experience a slower-paced, old-fashioned kind of life. That sort of life seems to have an enormous appeal to many women living in fast-paced modern times. “Christian fiction” refers to books published by Christian publishers and penned by authors who try to convey some aspect of the Christian life in the lives of their characters. Romance is one of the more popular trends in the field, with romance novels that have decidedly old-fashioned values in comparison to romance books published by mainstream, secular publishers. Amish romances are a further, specific subset of this trend. The trend was kick started with the 1997 publication of a novel titled The Shunning. Its author, Beverly Lewis, went on to write other Amish novels and became of the best-selling writers in the Christian market. Many other writers have joined the ranks of Amish romance writers. Besides Lewis, two of the most popular are Wanda Brunstetter and Cindy Woodsmall. Christian fiction can be found in many specialty bookstores and sometimes mainstream stores as well. You can find best Christian fiction books at FavoriteChristianBooks.com and other online venues. Educational tour is exciting. However we could not deny the fact that educational tour entails a lot of expenses. The expenses will defend on where to the group is going. I am grateful that I’ve experience attending educational tours when I was a student. Now that I am a mother, I am always with J every time the school is conducting an educational tour. Talking about educational tour, the month of September is Math and Science month. It is also this time when educational tour in school where J is enrolled is conducting a trip. I don’t any idea where we are going to go this time around. But I am hoping that we can visit the mini zoo that my friend mentioned to me. J is excited to see animals/pet that he hasn’t seen. I may not have everything I want as of this moment and I may not close to my goal for this year I am glad that little by little I will reach my goal in due time. As for now, I will cherish and enjoy each day. Truly, nothing beats the happiness when you are with your loved ones. Spending quality time with our loved ones need not to be extravagant. In fact you can celebrate and enjoy each day without spending too much. In the past couple of days I have been enjoying chitchatting with my family over a local wine. I may not join them in drinking the local wine but I am sure having a great time joining their conversation while eating the simple foods that is prepared on the table. How about you? how do you spend quality time with your loved ones? This is a Sponsored post written by me on behalf of dressfirst. All opinions are 100% mine. Searching for the perfect dress to wear for a special occasion like the homecoming is not an easy thing to do. Why I say so? Because we could not deny the fact that we ladies want to look dashing and fabulous whenever we are in a party. I am just glad that I haven’t attended a party that require me to wear formal dress as I could not image myself being in a situation wherein I could not find the dress I am imagining to wear for a special occasion. However in case I’ll need one in the future I know what to do already. Anyway, it’s back to school in some countries and certainly homecoming is fast approaching as well, no doubt about it. While you still have ample of time to search for the perfect dress you are going to wear for the occasion why not visit DressFirst. The store has a huge selection of stunning and fabulous dresses. So, I am pretty sure you will find something that will fit your size and of course your budget. If I am to choose among the homecoming dresses available in the store I will surely have a hard time choosing which one I will get. But then again, I might just choice the dresses in red and blue. It’s my favorite color. 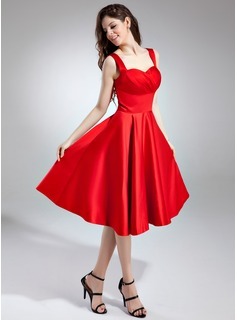 I could not take my eyes off into this red homecoming dress that I found on the store, it's simple yet so elegant. Right? Woot! For the first time I got an offer from a pay to blog site wherein I didn’t give much attention before as I am comfortable putting the specific code to given in any of my site. But few months ago, I decided to give it a try, I got few leads but never been an offer. So, yesterday I a notification regarding the two lead in my dashboard, I was not really hoping that it will be an offer in a day or two. Perhaps it is because I am used on not getting any offer from this pay to blog site. But my faith change, when I received a notification about an offer waiting in dashboard. For the first time in my blogging journey I had an offer for this site. Their sister company was my favorite pay to blog site when I started blogging but for some reason the site is not active anymore. I guess it the company was affected by the economic crisis as the payout decrease in time of the economic recession. Anyway, I hope this is a good start. I am considering on submitting my other site for approval. Are you or do you know someone whose works are into building construction? If so, do they wear protection gear when working? There are times that safety is taken for granted. I could not count how many times I’ve seen construction workers who are not wearing safety equipmentwhen working and it’s quite alarming. Accident happens everywhere and anytime usually they occur in times when we less expect it to happen. Wearing safety gears when at work or when some works that that needs safety gadget such as gloves, eye protection, head or face protection, protective clothing and etc is a must. I am having a great night for two consecutive nights. I had a chance to be at the town plaza for two nights in a row to witness two big events, the Little Miss Tanauan 2013 and the Miss Tanauan Pasaka 2013. Last night the Miss Tanauan Pasaka was crown and she will represent out town in the Ms Pintados 2014. She bested more candidates vying for the crown. She is actually my beat as she a sister of a gay whom I personally know. I also like her beauty and wit. And for me, she outshines other contestant on their production number so no wonder she snatched the judges attention. Anyway, I am waiting for my cousin to come over as he will fix my hair today. No doubt a lot of us love listening to music. One proof of it is that when I am in a public vehicle some of the passengers are busy listening to their favorite music using a headphone but using the simple headphone although one time I happened to saw someone who used the good ortofon headphones at guitar center. I wonder if it has a better sound compare those mobile headphones. I remember my cousin used to have an ortofon headphone. I don’t know where is it now as I haven’t seen him using it for quite sometimes already. ‘Twas a busy day for me yesterday, running mommy errands. My day started too early as I need to go to the market to buy the vegetable I need for the shanghai-vegetable roll that my son J brought to school for their bring and share as part of the celebration of Nutrition month. Hence I woke up very early and a bit tired I decided to take a nap in the afternoon. However the nap I took seemed not to be enough as I woke up at around four in the afternoon to go to the market again to buy something for the dinner. I need to prepare the dinner earlier this time as I brought my nephew L his dinner to the school. Right after our dinner I am getting sleepy, already. Although I so much want to blog I opt to take an early rest. What is your preference when searching for a printing company that will do your printing needs? Do you search for companies that offer cheaper service or do you go for companies that offer quality service? If I am to choice I will certainly choose both, cheap service and good quality. Perhaps finding a printing company that offer good quality service in a cheaper price cannot be found easiliy but I assure you, you can find one online. There is no doubt that you can find wide selection of printing companies online. The best way to do that you get the lowest price on your printing job is visit zooprinting.com and have a quick custom estimate and price matching this will give you the assurance that you will get the lowest price available in the market. How is your weekend doing so far? As for me, I am not really productive this weekend as I am staying in bed most of the time. I had a bad asthma attack last Friday night. Oh well, I could have done few of my online thing but then there were no electricity for 12 hours. I am not still fully recovering but I a lot of things to do online so here I am blogging in my bed. Anyway, I will be staying long today as I want to get rid of this illness. I don’t want to miss the tasks that were given to me. It comes to my knowledge that sheriff is taking away few tasks in the dashboard. Gladly, it didn’t happen to me. The aim of the Christian organization, Favorite Christian Books, is to provide its customers with a variety of books to help them grow in faith and get closer to God. Books for all ages, non-fiction and fiction are available. Bibles, study bibles, teen novels and books for guidance are some of the other genres that will round out any well-stocked library. Any of the books in the inventory make appreciated gifts for anyone on your list, for any occasion. Stressful situations in your life will crop up from time to time. To help you through these times an inventory of guidance books on topics such as parenting, marriage, divorce, death and grieving are ready for your order. They also make great tokens of friendship as a practical and thoughtful gift for a friend or family member facing a tough situation. They will thank you many times over for the compassion shown to them by offering the books as inspiration to help them through a tough time. Novels by inspirational authors such as Karen Kingsbury are part of the stock at Favorite Christian Books. With more than 25 million copies in print and her recent dozen books debuting at or near the top of the New York Times Bestseller’s list, Karen is America's favorite inspirational novelist. You will even find some of the most popular titles as audio books and we also carry inspirational videos. You will find these and all the best Christian fiction books at FavoriteChristianBooks.com. I should be staying in bed as I am not feeling well but I have to do the task assign for this blog so I could have the payment next week. I do hope that blessing continue to pour at my end. Anyway, it’s been a week since my last update here. I have been spending quality time with my bed in the past couple of days. Sleeping and eating as I allergy and asthma are my constant visitors most of the time. If I could wish one thing as this very time, that is healthier me. But then since I had this asthma few years ago I know it’s impossible to get rid of this. So I shall get along with it and try not to stay away the things I am sensitive to. I came from a tropical country so fireplaces are not commonly used by home owners. But when had a chance to visit the summer capital of the country I had a chance to see a real fire place. Although the fireplace I saw was the traditional one I still find it amazing but gladly I don’t have allergy on that time so I get to enjoy sitting near the fireplace. Talking about fireplace, don’t you know that there are actually different kinds of fireplaces? Yeah! You can actually find gas fireplace mantels that are stylish, handcrafted at ageeworks.com in a very reasonable price. They also accept custom mantel, shelf and cabinets according to your needs. Isn’t it a cool place to visit when it comes to fireplaces, mantel, cabinet and shelf? I am finally up for an update here. Thanks to my all time favorite pay to blog site because I have a reason to update this blog. Anyway, I don't know I am mentioned here that my nephew is eager to join the school band. The boyfriend and I agreed to let him join the band but we asked him to wait until next month. However the nephew were so excited and eager that he keeps on attending their practice although he doesn't have his own drum. With this, I and the boyfriend decided to just buy him his own drum and it happened yesterday. The drum is a bit expensive but I know it worth the price as the nephew was happy when he saw it last night. Truly, the boyfriend has his own way of spoiling my son J and my nephew L.
My cousin was here a while ago, he is asking if still have the safety cutter I let him bought last month. I guess he needs it in making his school project. But because I forget where I kept it I just told him to buy his own. Anyway, if you are searching where to find good quality of utility knives fret no more as you can find wide array of safety knives, safety cutters and box cutters at MartorUSA. For more information about their products you can visit the site or download their catalog. You can also watch their videos of you prefer videos than catalog. I will be going to bed in a while I just don’t want this day to end without greeting my father a Happy Fathers Day. He may not the perfect father to me and to my siblings but I could not deny the fact that without him I will not be here in this world. Thank you for bring me up into this world, Tatay. To my boyfriend, I already greeted him this morning while we were talking although they are not celebrating Father’s Day in his country. I would like to take this opportunity to thank you for being such a wonderful boyfriend (I know we have our ups and down), a good provider and listener when I need someone to listen to my complain. To my two brothers, older P and younger P, to my Tito’s friends and to all the father out there, Happy Father’s Day! One thing is for sure, we don’t want to pest infestation be a problem for homeowners. It’s a kind of problem that every home owner would love to avoid if possible. It is not a secret that bugs and insect can be dangerous to someone’s health. I have read somewhere that common ailment that is causes by pest are asthma and skin allergy. I have asthma in fact I have having an attack of this typing. So whenever I see cockroaches roaming around the kitchen I always wish I can do something on it, perhaps the bifen it will do. If you are having pest problem at home then you may want to start finding solutions on how to get rid of it before the problem get worst or better yet go buy the insecticide I have mentioned earlier. It is safe to use in school, office, theater, hotels, warehouses and many more. The sound of raindrops in our roof woke me up this morning. The first thing that cross my mind is thank God for the rain. It is summer time here in our part of the world. The scorching heat from the sun could start as early as six in the morning. The rain will make the weather cooler so hopefully it will continue to rain and that Mr Sunshine will take his day off today. When I came across this website that offer new ukulele strings I remember a friend who’s daughter is taking music class their summer. I saw her playing her Ukelele on the photos that my friend uploaded to her facebook profile. If I guess it right, they are having their closing ceremony. My friend is really proud of her daughter as she has a solo performance on their program. Oh well, the fact that my friend’s daughter is an intelligent kid I won’t be surprised if she will also excel on playing the music instrument. 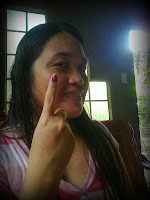 If there is something I’d like to share as of this typing is that I am happy that I was able to vote yesterday. I am proud to say that six out of ten candidates I voted is so far doing good and hopefully they will make it until the end of the counting. For those who will not make it, hopefully you are still willing to help to whoever win for the betterment of our town. To all candidates who will make it, congratulations in advance! Good luck and I am hoping that you will do what you have promise when you were still campaigning and asking for our votes. For those who didn’t make it, be a sport especially the supporters who seemed not to get over yet with their lost. We cannot deny the fact that shopping is one of the things that girls love to do. Undeniably I am not an exemption. But then, who doesn’t want to shop? One thing that I really like when I have budget for shopping is paying less without overlooking the quality. So usually you will see me roaming around in the mall and department store before I would start shopping. That is why when I stumbled upon this site called eyesave.com, I immediately feel the urge to buy the sunglasses I want. No doubt getting a discount for almost half of its regular price of branded sunglasses is surely worth grabbing. Normally, I missed watching the news on television because the little one is watching his favorite TV show. One thing I noticed when I watched the news is that the crime rating in the country is alarming. Often times, the place where we consider a safe place is not safe anymore because intruders are just waiting for a perfect timing. So, what more if we are walking in the street at night. Talking about safety, I remember someone who is working as a call center agent. As a call center agent, there are times that she has to work at night. I know she can take of herself but she is more safe if she have mace pepper gun to use if ever someone will try to do something bad on her. Anyway, I am thankful to the great provider for all the blessings that I am receiving. For the past couple of days, I’ve been receiving tasks from another pay to blog website and I hopefully I can share it the kids before the end of this month. I always wonder what type of guitar it is that guitarist in the band used. I mean those professional bands who earn for a living performing on stage. Now, I know what it is, after I stumble upon a music store that offer wide selection of best prs guitars. I also found out that this type of guitar is a bit expensive, with this I am not surprise that I don’t actually see prs guitar used being used those teenagers who plays guitar for fun. I have sore throat for few days, already. As much as I don’t want to drink cold drinks I could not stop myself because of scorching temperature. Aside from sore throat allergy has been a constant visitor lately. With this I am actually lazy to go to the city because of the ongoing road construction on the way to the city there’s too much dust. Oh well, our backyard is not exempted as it is a playground of our dogs and puppies so dust is also all over. Haist, I hope it will rain for a day. On the other note, I still have few undone tasks to finish. I didn’t blog much yesterday as I was outside. I will be going somewhere in few hours so I decided to get up early and started working with my undone tasks. It’s officially summer time here in my part of the world. The temperature is certainly hot. We are lucky that there are lots of trees around our house which help to cool down the temperature for us when we are spending time outdoors. Imagine living someplace where all you see are buildings, with no trees. I am sure you would just rather stay inside and run your air conditioner. Most people know that there is a significant temperature difference in a city versus the country. So, if you want to have a wonderful place to live in, and a cool place to be precise, you need to start planting some trees. After few years, the trees that you’ve planted will give shade and allow you to enjoy being out in the fresh air more without being under the scorching rays of the sun. For a tropical country like the Philippines, planting is not a problem because we can plant anytime we want. However, if you live in a country that has four seasons, then planting can be trickier, but not impossible if you have your own greenhouse. Some people may think that building a greenhouse is difficult to do, but they would be wrong, because it can actually be quite easy. As long as you have vacant space, or part of your lot where you can put one, there are many tips you can find online to get you started. There are lots of places to get the specific supplies that you need, and you can have your dream greenhouse in a short period of time. Here is a tip I want to share to motivate those who want to build a greenhouse but are having second thoughts. I happened to came across this great website called Gothic Arch Greenhouses. It offers everything you need to build a green house, whether it’s for personal, commercial, industrial or institutional use, you will certainly find what you are looking for. As of this typing they offer discounts for gothic arch greenhouse kits and offer free shipping in 48 states. So, visit the site now to start your own greenhouse project, and enjoy the positive benefits is has to offer. I warn you, this site is very inspirational! Truly, running a business take a lot of responsibilities. You can lose your business in a snap if you will not take safety measure on hiring your employees especially if your business is into lending and other form of business that involves money. I’ve heard a lot of offense that involving employees that spend company’s money. You can actually avoid hiring this kind of employee if you will do a background checks at easy backgrounds. Be thankful that you don’t need to go through all the difficulties of doing it yourself as you can use the internet to do the work for you. So make a difference, have your employees check their background before it’s too late. I was busy yesterday updating my other blog. So far, I have been doing a lot of things online such as blog hopping and commenting, it makes me feel exhausted. But the thought of having good blog traffic makes me feel good. Anyway, I am up for an update here. It’s a while since my last blog post, this blog of mine certainly need my attention. I know maintaining multiple blogs is not enough reason for not posting an update here. It’s weekend, I should be taking a break from the World Wide Web but I could not help but do my thing online. And, well, I don’t have any plan so might as well make the most out of the weekend. Graduation and recognition rites are left and right here in my other part of the world. It is this time when the graduates and honor student will have a chance to ask something from their parents. Other parent will choose to surprise their kids just like what I did to the nephew when he graduated in elementary last week. There are actually lots of give ideas to choose from, you may choose to give what they want or you may surprise them like I mention earlier. For musically inclined individuals nothing beats the happiness of receiving something that interest them like the instrument they want to play. Just recently, I came across a website that offers wide selection of violas and other music instruments in a reasonable price. Hence summer vacation is here, you may enroll them in music class so they can make use of the new gift. 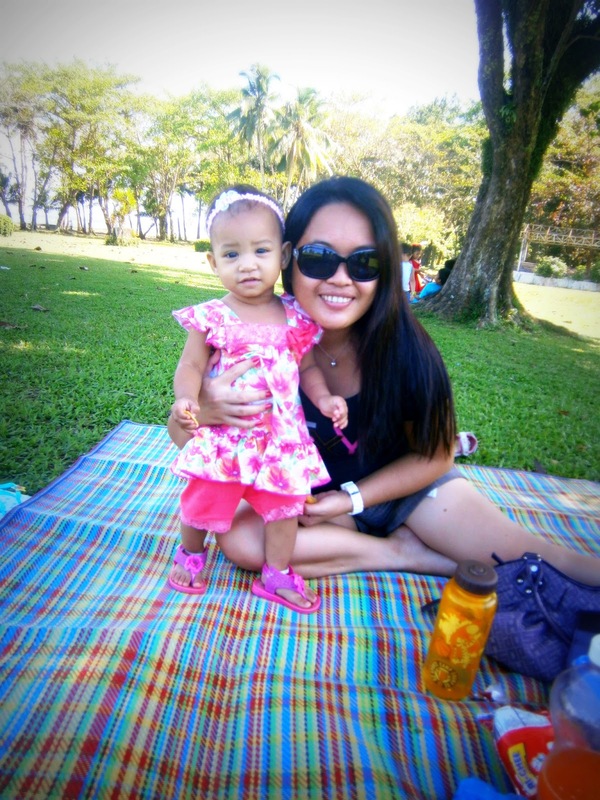 Good morning!Here is a picture of me and my niece during our latest visit the famous Mc Arthur Park in Palo Leyte, where the kids had a blast. I hope I will have another chance to pamper the kids this summer vacation. It Holy Tuesday, the little one and my Mom will soon leave to attend the Moving up and Recognition Rites of the little one. Yes! It is my Mom who will go with the little one as I am not feeling well. Good thing the little one give in to my request as he didn’t agreed the idea yesterday and last night. On the other note, I don’t have any plan for today. So, I will be just staying at home running my online things as I still have few undone tasks that needed my attention. I want to be free of work tomorrow and in the next following days. Whether you prefer gold over silver does not matter because this spring silver accessories are all the rage. So temporarily ditch your favorite gold accessories for everything metallic because it is back full force and makes a wardrobe statement! It’s a perfect way to improve your spring time look, especially during the weekends when you need some shine. There are many accessories to choose from as well – find silver leather pumps, cuff bracelets, metallic clutches, and more to amp up your look. Don’t be afraid to embrace your inner Marilyn Monroe! Need a modern silver handbag that looks chic with your outfit? Invest in a sturdy and attractive handbag that will hold all of your beauty essentials, including your cell phone, money, and even a planner. To save some money on your silver handbag check out these free shipping codes that worked for me. You’ll love a metallic faux leather shopper that comes with beautiful detailing such as a bow that adds a nice feminine feel. Silver leather pumps will definitely amp up your look, especially if they are paired with a pair of black slacks for when you’re spending time at the office. Wear a button up collared shirt that looks sleek and your pumps will add the perfect amount of sassy. Find a pair of pointy leather pumps that will become the focal point of your outfit – then go out in them during the weekend too! One or more cuffs on your arm are fun, especially if you love arm candy. A silver cuff will also look great with about anything, especially a little black dress. Accessorize appropriately and don’t overdo it by adding too many other accessories. One or two cuffs will be just right. On a weekend out a cuff bracelet is especially fun to wear and depending on the outfit, can be worn to work as well. Embrace this trend because metallics are the perfect way to enhance an outfit in a cinch. Have a special event coming up? A silver metallic clutch will look beautiful paired with a stunning frock. Store your essentials in the clutch, such as a few credit cards, lipstick, your cell phone, and other important accessories. However keep in mind that clutches aren’t handbags – they can’t be cluttered up! Keep it simple and open your shiny clutch during the event without everything exploding out of it. Metallic accessories will always make your events enjoyable. Sierra is a freelance writer who loves keeping track of spring time trends. Catch up with Sierra on her Ocean Dreams blog. For the past couple of days I have been entertaining my constant visitor- allergy. It is the time of year when I am visited of my constant visitor almost every day. I guess it is because of the hot weather and dust. With this I am planning to clean our room to get rid of the accumulated dust. I also need to arrange my work place as my things is all over my computer table. I hope I will not be lazy as I also have few tasks to work on from my all-time favorite paying site and the undone pending tasks that were assign to my other blog few days ago. On the other note, I also need to start visiting the participants of Comment Exchange for this week. I haven’t started the hopping yet and I am afraid I might failed to join in for next week I shall start the visit the soon. This w eek I failed to link up my other blog and I don’t think I can do it this time either. Aside from this group I am also active in another group that has the same propose. Anyhow, I could not complain that I have a lot of things to do online because I know I will reap the fruit of my labor in the future. So I shall be happy that I am given a chance to earn from home. I am getting sleepy here, been multitasking for few hours visiting other blogs commenting and writing something for the little one. But because it’s already pass 10 o’clock I am having a second thought whether to take a nap or just continue what I am doing. I might be too sleepy when the boyfriend calls me for chat like what happen two nights ago. I can’t barely opened my eyes that the boyfriend let me go back to sleep after few minutes of talking. But one thing I am sure of, I don’t want this day to pass without greeting my nanay and happy happy birthday. Today is a her special day but because I am still recovering financially because of her hospitalization apart from her maintenance medicines I could not afford to give her a small celebration. But I hope I can buy something for her before the end of her birth month. To Nanay, I could not ask for more but wish you good health and longer life. I know, you heard me complain about this and that but you know very much that I will try my best to give and support you in any way I can. I love you!!! I’ve been a tattoo artist since i have was a teenager. Sure, it absolutely was unofficial back then, I'd personally use pins and ink from pens to tattoo myself, and my buddies, when we were up late watching MTV, when it used to play music videos. I’ve had my very own shop for a couple years now, and I’m always looking for the best place to get tattoo supplies. I possess a couple artists working together with me, and we’re always in need of replacement tattoo guns and the rest I’ve been using to get some killer ink on the good people of L . a .. 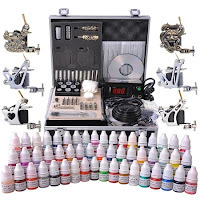 There are thousands of places to buy and search for materials, however, if you need a tattoo gun kit then you definitely go to the LA shop. They have a very great selection of guns and can deliver it directly to your home for any cost way less than you might count on paying elsewhere. If you’re just starting out, get a gun here, if you’re a professional, upgrade your materials. 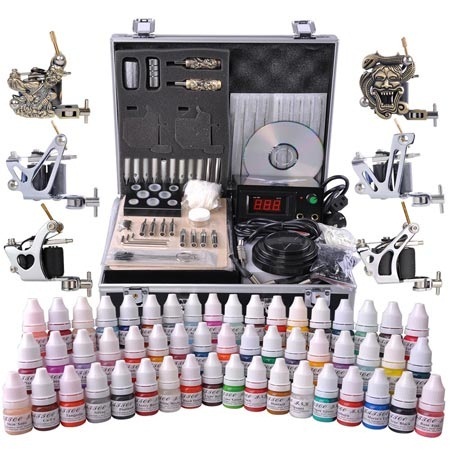 When some potential customer coming in wanting to get his first, or her third, or his twentieth tattoo, you’re planning to want to display the very best equipment you can find. Also put up lots of pictures of past work you’ve done, or have a binder and print the pictures out very nice and put them within. Put the binder from the waiting room so people can easily see you’re legit. Even if you’re not. But if you’re not legit, then all the more reason why you may need good equipment. Good equipment should go a long way - let’s place it this way, the tattoos I make now are far superior to the ones I did before make inside my parents’ attic with pen ink and sewing needles, that’s definitely! It’s a gloomy day here in my other part of the world. Good thing I don’t need to go anywhere. Oh! I remember I need to meet my brother in law today but I might just ask my brother to meet him instead as I am not in the mood to go anywhere. The weather makes me stay at home and snuggle in bed. I shall fight this urge to snuggle on bed as I have a lot of things to do online. I have few tasks to work on from my all-time favorite site. It is also the first day of Comment Exchange so I shall start working on it as I only manage to include one blog this week. Haist, sometimes I have a hard time fighting laziness. Apart from CE, I also have some blogs to visit daily from a group in facebook. Who says blogging is easy, it surely need patience and time. Well, there is no such thing as easy earning. So, let’s have patience, time and be productive bloggers. At the end of the day we will surely reap the fruit of your labor. If there is one thing that I want the little one to learn it is playing a guitar or any kind of music instrument. I’ve mentioned on several occasions that I don’t have a thing on music, so I want the little one to achieve something that I failed to do. But of course I will not force him to do something that he doesn’t feel like doing. However, if he would ask me to buy him a guitar in the future I might consider buying him one the great Jackson Guitars I saw in one of my latest online music store find. I heard a friend talking about this brand and he mentioned it’s one of the best brands available in the market. I woke up few minutes passed five in the morning to use the toilet. I tired going back to sleep but to no avail so I decided to open my notebook and started my thing online early. On time when I am about to talk to the boyfriend a power interruption occurred, what a bummer. So I as of this typing we don’t have electricity, but I decided to type this blog post and publish it when I get back the power. I hope soon so I can still catch up the boyfriend before he dose off to bed. For days I've been joining AH again and soon I will be harvesting the fruit of my labor. I missed joining the group for like a decade already. Having slow notebook never stopped me for being productive, I only need to have a lot of patience. Power interruption won't stop me also from making each day productive. Like any other ordinary girl I also dream of wearing a diamond ring engagement from my boyfriend. If that time comes, I am certain that I will be the happiest fiancé on earth hehehehe…. Anyway, for those who are planning to propose I’d like you to check out Reeds Jewelers. It offers ample of choices of engagement rings that will fit your budget. The site is also perfect to those who are searching for a perfect gift whether it’s for your wife or husband or for your children. We don’t have electricity as of this typing, since I don’t have anything to do I decided to make this blog post and publish it as soon as I get back the electricity. It’s been raining down here in my other part of the world. The weather makes me snuggle with my pillow and blanket. Oh well, since I actually don’t have anything to do after I am done with this post I might as well go back to bed. I have some tasks to do later today. For some reasons I’ve been slacking in the blogging world for quite sometimes and I do have a lot of catching up to do such as building the traffic of my blogs. I am just grateful that I still manage to join the weekly comment exchange although I missed dropping for my two blogs. Well, it’s better than nothing, as the saying goes. When the only mall in the city opened few years ago the first that I and my friend Iris did is watch a movie. And, in all honesty the first that I noticed is the sound system. It is way too good compared the sound system in the old cinemas in the downtown area. I only knew one thing, the movie houses in the mall are surely using good quality of soundcraft mixers to achieve a good sound. I also found out that this mixing console is also used in broadcasting and recording. So if you want to have a good sound in your entertainment room I advise you to have your own sound craft mixer. As I’ve mentioned in my other blog I was away from home for few days and because there were no internet café near my younger sister I am also away from the World Wide Web. One reason why I don’t’ want to visit my sister for a few days is because I don’t have access to internet. With this I have a lot of catching up to do. I have some tasks assign to my other blog from another paying site that has been giving me tasks to work on for the past couple of weeks. I also have some tasks to work on from my all time favorite paying site. Although I have lost one task from LL because I failed to accept the task assign to me I am still thankful that blessing is pouring at my end. I am hoping that blessing continue to pour at my end. I have shared some of my purchased online in my other blog. I admit, I have been an impulsive online shopper in the last quarter of last year. I may have some problem in one of my purchased but I am glad I still got the items after few days, other than that I can say that I am satisfied with all the products I have purchased last year. As of now, I don’t have any plan of shopping online as I need to save for something. But if money is not an issue I would like to have one or two women s jackets, the one that I saw at Rocky Mountain Trail.com. If you’re living around US then you can avail of the free shipping on orders over $35. The site also offer free $10 promotional gift card with order over $50. Truly, I do have a lot of catching up to do online. I failed to join my fellow blogger in building our blog traffic in one of the group I joined in facebook. Hopefully I can get back and catch up real soon. Good thing I never missed joining the weekly comment exchange in another group. On the other hand, as I have mentioned in my other blog I was away for two days. The plan of not staying at my sister’s place for a day didn’t happen as I had bad allergy attack as soon as I arrived in my sister’s place last Friday. I had swollen and red eyes, so I decided to stay for a day. But something came up before I left yesterday that made me stay for one more day. I am thankful that my boyfriend is so understanding that he even want me to stay until tomorrow if needed. After being way for two days, I have a lot of work to do. Hoping I can finish half of the task I have in my dashboard today.